The ski season is upon us and Moncler Grenoble is strengthening its collaboration with some of the most celebrated ski schools in the Swiss, French and Austrian Alps. In an astounding move, over 1300 instructors spread throughout Sankt Moritz, Crans-Montana, Kitzbühel, Verbier and Megève will be wardrobed by Moncler. They will be wearing Moncler Grenoble High Performance clothes, jackets and ski-suits specifically designed with high technical and functional coefficients, to guarantee maximum comfort in extreme conditions. In Switzerland, ESS Crans-Montana, in Valais, there will be about 500 instructors , and ESS Verbier, having 300 instructors. In Austria, the brand will collaborate with Element 3 Kitzbühel, in the renowned resort in Tyrol, with a team of 200 ski instructors. 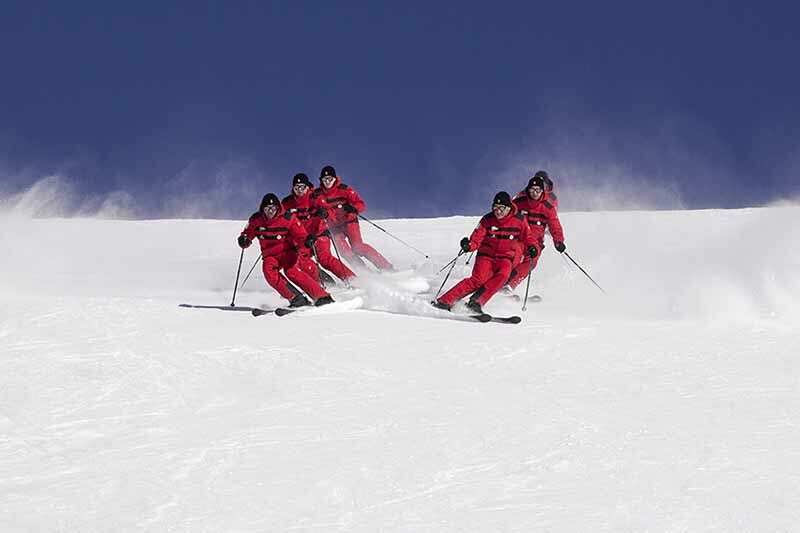 Among the Alta Savoia Mountains in France, Moncler will collaborate with the smaller ESI Megève, with only 30 instructors, but with an exceptional technical level and quality of instruction. Snow and mountains have been in Moncler’s DNA since the origin of the brand. The brand has broadened its Moncler Grenoble High Performance projects among the snowy peaks of the Alps; a collection true to the brand’s beginnings and its commitment to 360 degree performance.